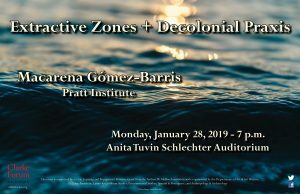 Based on her book, The Extractive Zone, this talk explores the old and new sites of land and water defense, and artistic and activist responses to these issues. 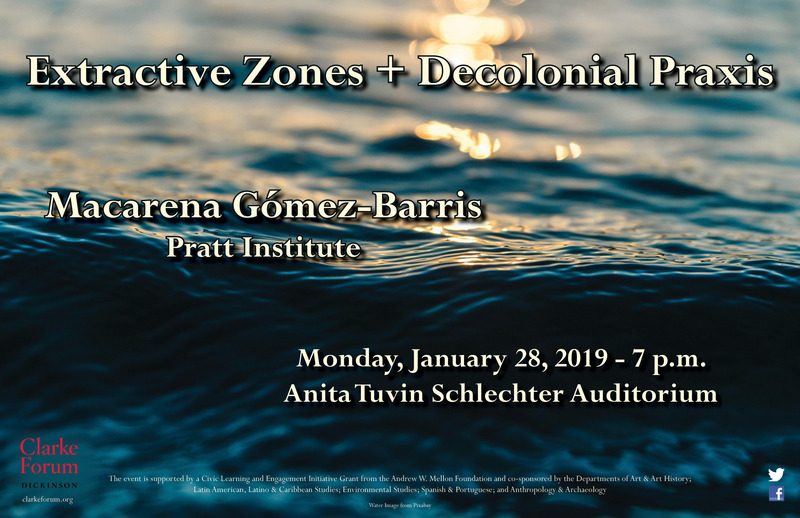 Gómez-Barris will discuss work from the Américas to argue for alternative modes of living, being, and doing from within and outside of the extractive zones. This program is sponsored by the Clarke Forum for Contemporary Issues and a Civic Learning and Engagement Initiative Grant from the Andrew W. Mellon Foundation and co-sponsored by the departments of Latin American, Latino & Caribbean studies; Spanish & Portuguese; environmental studies; art & art history; and anthropology & archaeology. It is part of the Clarke Forum’s semester theme, Sustainability. 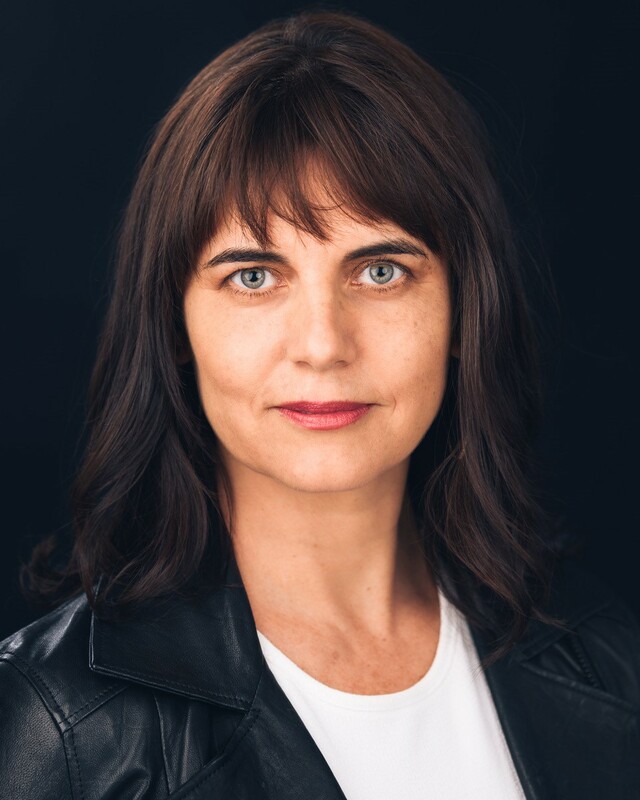 Macarena Gómez-Barris is chairperson of the Department of Social Science & Cultural Studies and director of the Global South Center (GSC) at Pratt Institute. She is author of three books including The Extractive Zone: Social Ecologies and Decolonial Perspectives that theorizes social life, art, and decolonial praxis through five extractive scenes of ruinous capitalism upon Indigenous territories (Duke University Press, 2017). Gómez-Barris’s recent book Beyond the Pink Tide: Art and Political Undercurrents in the Americas (UC Press 2018) asks us to imagine politics beyond the nation state. 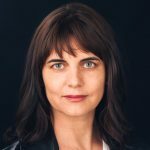 She is also author of Where Memory Dwells: Culture and State Violence in Chile (2009), and co-editor with Herman Gray of Towards a Sociology of a Trace (2010). Gómez-Barris is working on a new book project called At the Sea’s Edge. She was Fulbright Research Visiting Professor at Department of Sociology and Gender FLACSO-Quito, 2014-2015.